Many uses besides the queen rearing and swarm control techniques associated with the Horsley and Cloake methods. 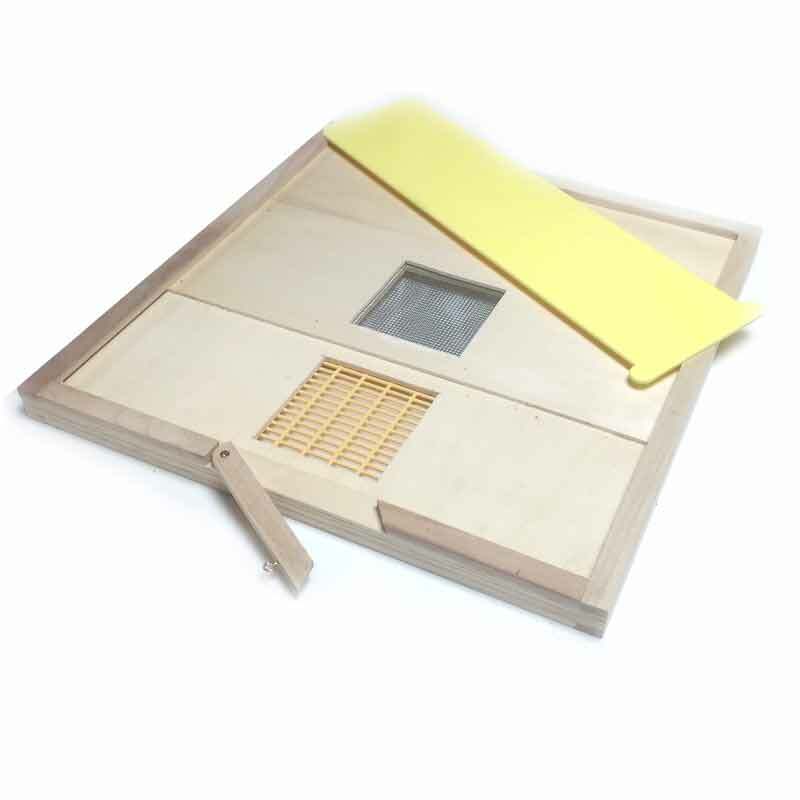 Strong 9mm board with bee space on both sides and a hinged central door on top. 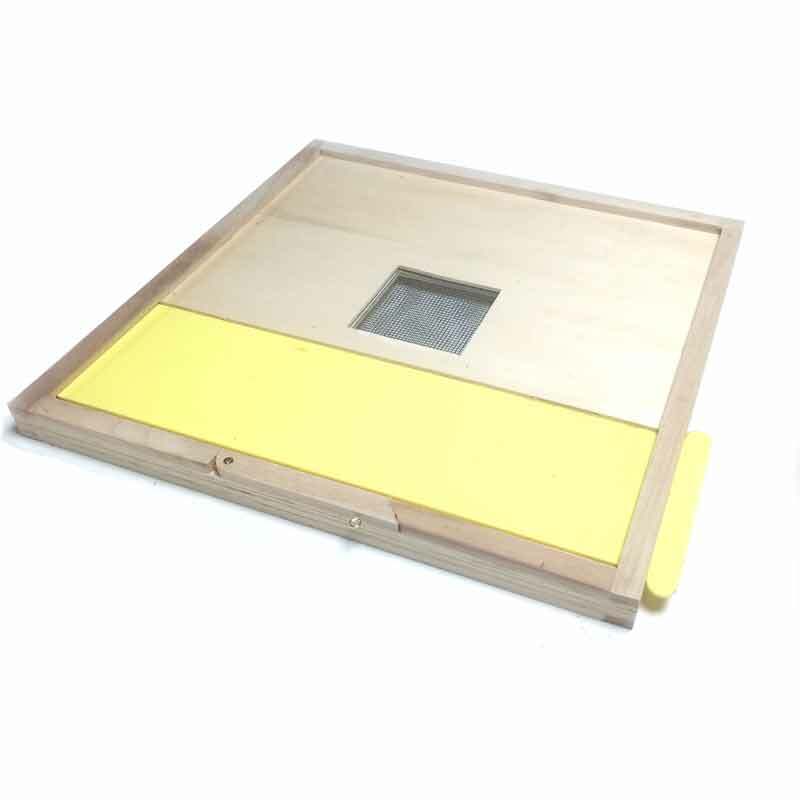 The central 100mm square hole is screened on both sides with 3mm stainless steel mesh preventing food transfer but allowing distribution of colony odour and through ventilation. The front 100mm square hole is screened with moulded plastic queen excluder. This can be partially or completely blocked with the acrylic slide included.